Vita’s service delivery model will be community–led. This community-led model is equitable and inclusive ensuring that no household is left behind. This is based on a methodology developed by Dr Kamal Kar, now used in over 64 countries. When households are provided with access to sustainable water supply and sanitation as well as sustainable cooking and lighting, the wider communities will be awarded a certificate as a sustainable “Green Zone” and this model will be replicated in the Investment Programme. 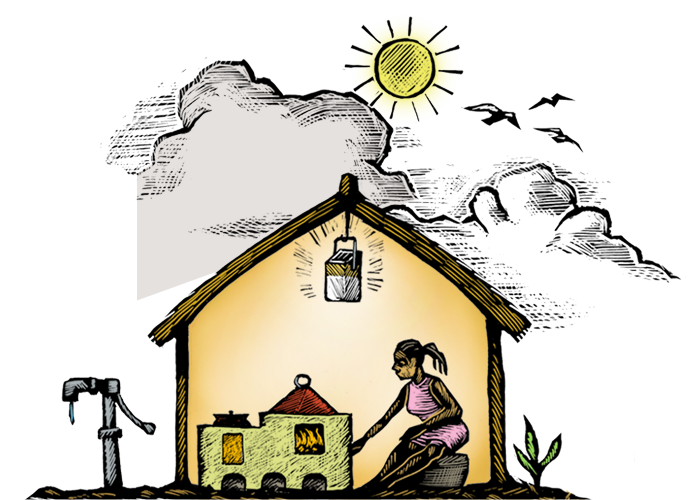 The community-led model has advantages over government and commercial service delivery by providing affordable and inclusive energy and water which is made possible by the carbon finance. Additionally, communities often tend to begin manufacturing their own stoves, thereby generating substantial local revenue.